← summer break and just going with it. blog tour, my friend LJ, + my process. I hope your summer is going well and has been so fun so far. I’ve been loving this summer. We have been having a blast! My time away from the blog and the computer has been so good. It’s been very life giving to step away from the regular and the driving things, and just enjoy the life in front of me. This weekend we were gone to Kingsport to see my mom’s family for a family reunion. We had a great trip! Lots of fun and good times at parks, playgrounds, the farm, the golf course, the hotel, and “reunioning”. Now it’s back at it. Laundry, cleaning out the van after a long trip [and yes, I said van. Last week we traded in my SUV for a van!! Yikes! And exciting! ], back to work, back to chores, back to child training and potty training. Today I’m taking part in a blog tour my friend Lindsey asked me to do. Lindsey is one of my favorite dietitians ever! We went through our nutrition classes together and then went to different universities for our dietetic internship to get our RDs. She is super intelligent, super fun, and is an excellent dietitian because she thinks outside the box. I learn new things from Lindsey, who I call LJ, all the time and love seeing how she makes nutrition and dietetics fun. 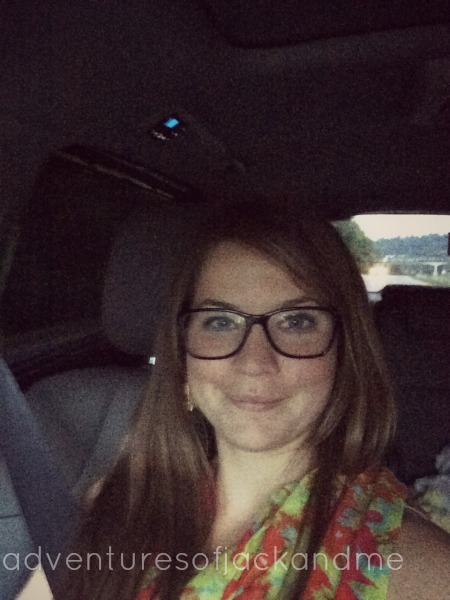 Check out Lindsey’s blog — she’s the DIY Dietitian. You will enjoy reading posts from LJ! A: This summer I’m taking a break from all things blogging, so while I’m not working on anything blog related right now, I do have some ideas to work on starting in the fall to improve my blog. My BIG focus this summer work-wise is Project Gabriel. I’m focusing on ramping up what we can do, trying to make dreams come to reality. A: What I love about blogging is that everyone has a perspective. I’m not a professional blogger by any means, so I’m not competing with fellow food bloggers or DIY bloggers or photography bloggers. I just write about what inspires me and to try to share along the way. I love talking about nutrition, sharing about a healthy lifestyle, as well as easy recipes. I’m most happy with the transformation and growth of the depth of my blog through the last year and a half as our life was rocked and changed forever. My hope is that women will find my writings and see that they aren’t alone as they go through something really hard. A: I kind of answered this above. My nutrition background and that I’m a Registered Dietitian inspire the nutrition, my love for good food inspires the recipes, my need and excitement for organization inspire the organized living, my excitement for DIY and wanting to DIY our whole house keeps my mind thinking about that, my love for my family keeps me journaling our lives in the form of this blog, and most importantly, the nudging I feel to share our baby G’s story through this little blog keeps me honest, open, and sharing about life, death, loss, grief, and so importantly hope. A: It depends. Ideas come to me at weird times, so I keep a notebook where I write them down or make sure to make a note on my phone so I can get blog about it later. When I’m blogging about something specific I will mostly write a post and then come back later to edit and add pictures and schedule it to post. Sometimes I just write straight from my heart not knowing what is going to come out. That usually happens at night after Jack and Tommy have gone to bed. I sit on the couch and just write my heart onto this piece of the inter webs. Then I will find pictures that work, edit them, add them, and post. In theory I like scheduling my posts ahead of time, but in actuality, I really love the honesty that comes from a late night post, so I try to remain flexible for those posts. Thanks so much LJ for inviting me to join this tour! Friends, be sure to check out Lindsey the DIY Dietitian. Her recent post on Popsugar 4 tips for your most confident bikini season is fantastic, motivating, + confidence inspiring!